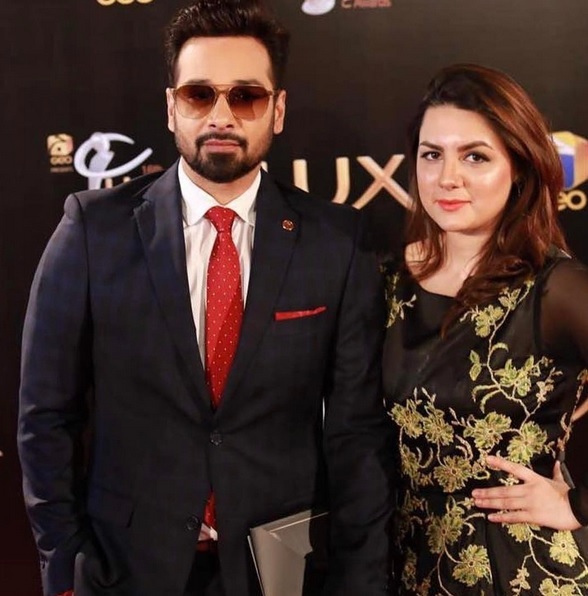 Lux Style Awards are all about acknowledging the work of all those talented individuals who work hard all through the year to give the entertainment and the fashion industry their best. These awards are also a time for celebrities to showcase their dressing sense because this is the time when they get to show just how much style they have. All the celebrities always choose their favorite designer, stylist and make-up artist for the job but not all of them always get it right even with all this homework. 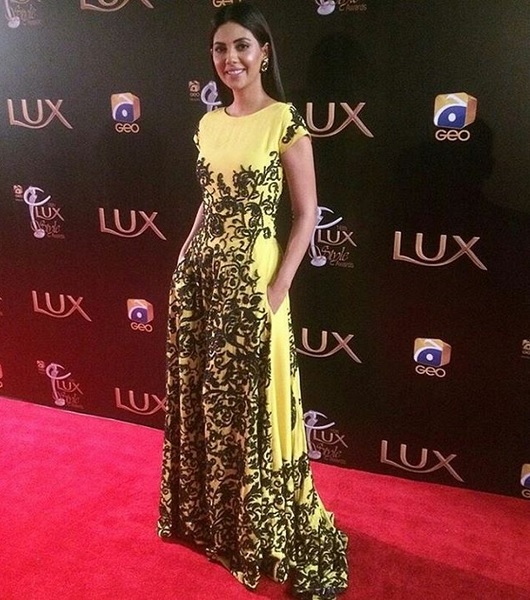 This year at LSA many celebrities wore black, which made us wish that we saw more color on the red carpet. There were a few who looked stylish and chic on the occasion. Sanam Saeed is known to be one such celebrity that doesn’t put a lot of effort in makeup and hair styling, be it in her dramas or her TV appearances, but this time around, it is evident that Sanam Saeed not only put in the effort but carried the overall look with a lot of comfort and confidence as well. Dressed in monotones, with simple hairstyle and minimal accessories to dress herself up, Sanam Saeed surely looked her best at LSA Event. 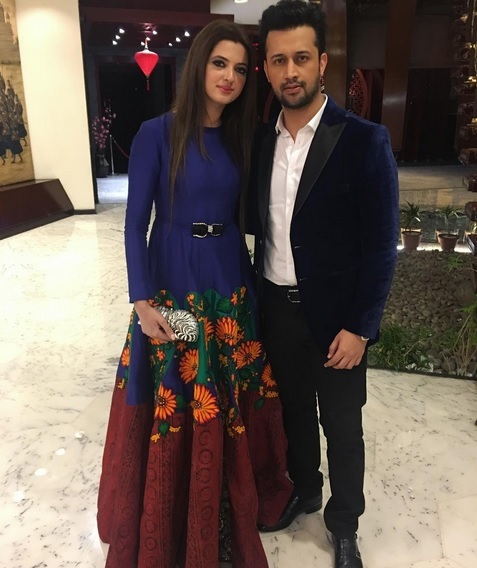 Atif Aslam and Sara Bharwana always look great together no matter what function they are attending. This time too their color combinations and styling which was simple but appealing at the same time made them look effortlessly chic. They compliment each other. Sunita Marshal happened to be one such celebrity that broke the monotony of black theme that every other celebrity was sporting this year at LSA. Sunita’s elegance made her vibrant dress work and she carried it with a lot of confidence as well. Sunita also sported a very simple and minimalist styling to go with her dress making it seem like a statement within itself. What a charming couple, looking at them it is easy to tell that these two thought things through before getting their outfits designed. The red, black and gold combination adds the right colors to the base color. We love Faysal Qureshi’s sunglasses because they give him a trendy look. 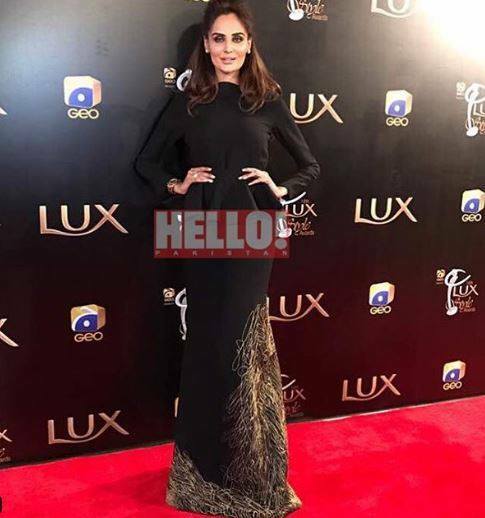 Amidst all the celebrities who wore black at LSA this year, Tooba Siddique surely made it work. Loose Hollywood curls tucked at one side, smokey black eyes and a dress that accentuated her physique in a most appropriate manner seemed flattering on her making her look stylish and elegant. Syra Yusef does not need a lot of styling and make-up to look attractive. This beautiful dress is enough to make her stand out and she looks elegant in the straight hair and make-up which isn’t too loud. The outfit is especially pretty and looks good on her. Mehreen Saeed is another celebrity who wore a black outfit and stood out from the rest of the crowd because of the way she carried herself. Even though her dress is quite simple, the way she glammed herself up with a bit of a backcombing and loose curls that dangled over her shoulders added a lot of grace to her overall look. 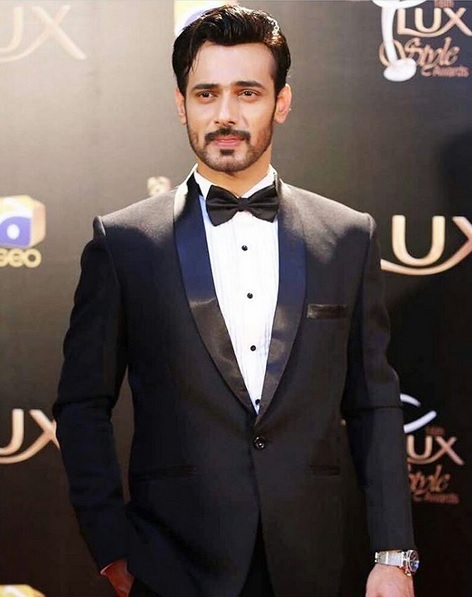 Zahid Ahmed looked handsome in a tuxedo. Since the viewers do not get to see him in this look very often in dramas so this formal look is brand new. There aren’t a lot of men who can carry a tuxedo the way he is. 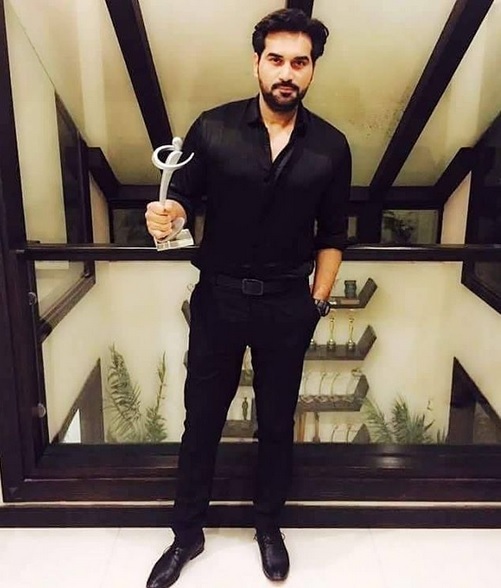 No one looks as handsome in black as Humayun Saeed. He carries a simple outfit with grace and looks effortlessly handsome. He proves that you don’t always need a jacket to look utterly charming.